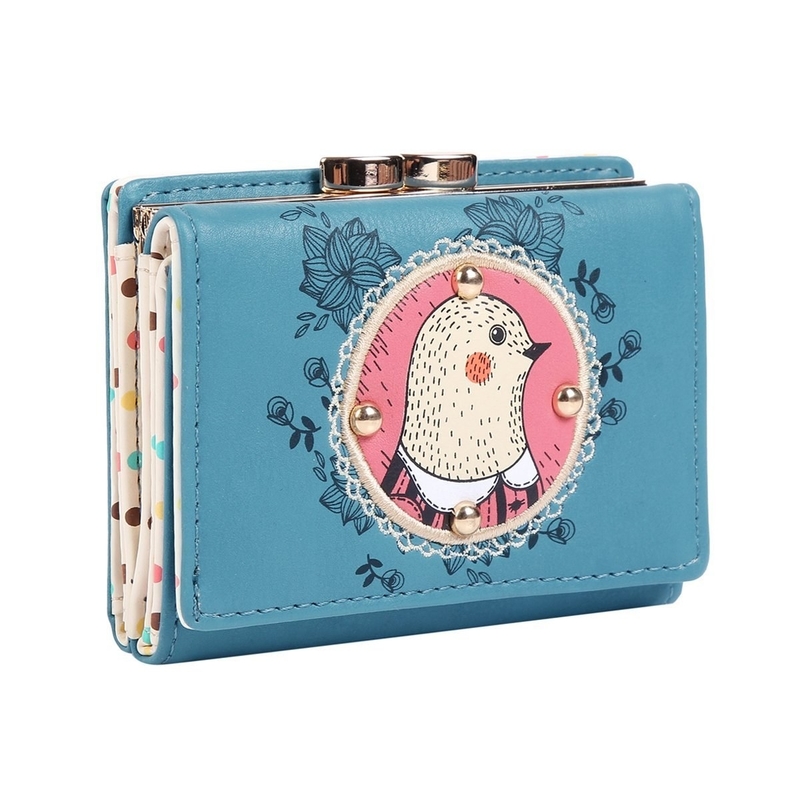 For when your wallets are a matter of life or debt. 1. This aluminum money clip that'll hold only what you need and nothing more. 2. 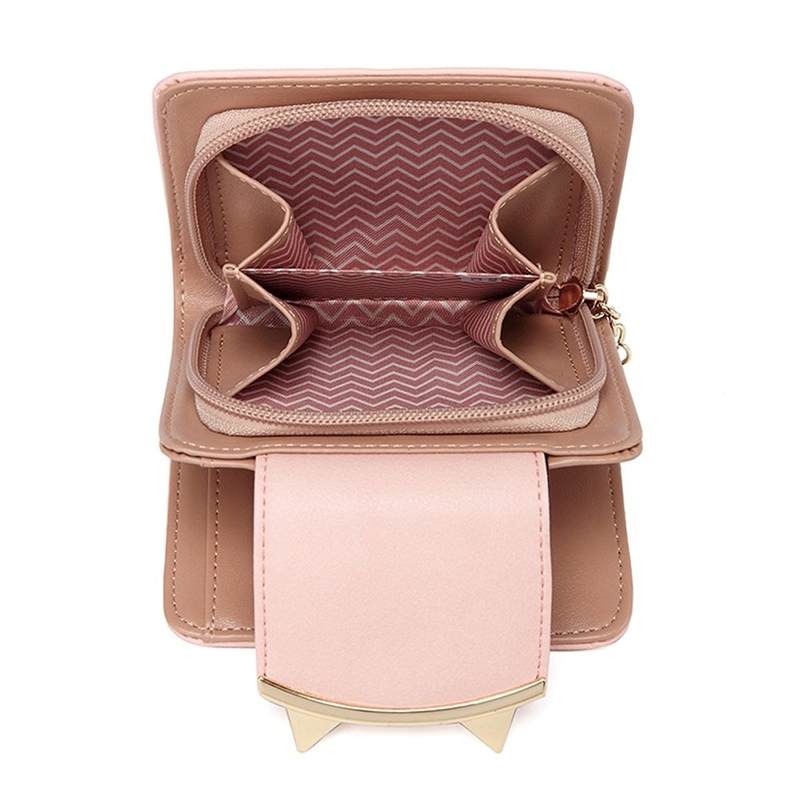 A phone wallet case able to hold three cards and a little bit of cash for those weekend outings. 3. 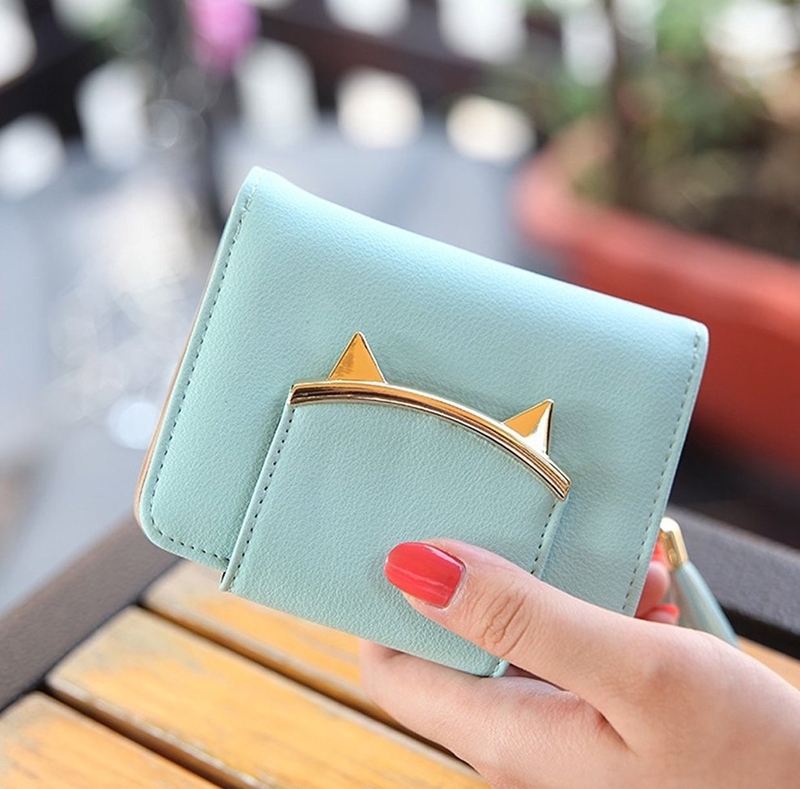 A coin purse combo that's purrfect for the cat person in your life. 4. 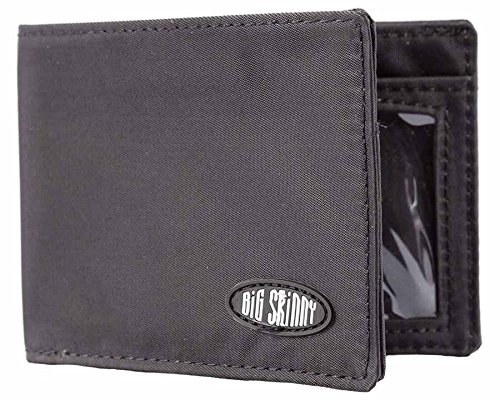 This 18-slot leather wallet for carrying the burden of all those loyalty cards. 5. 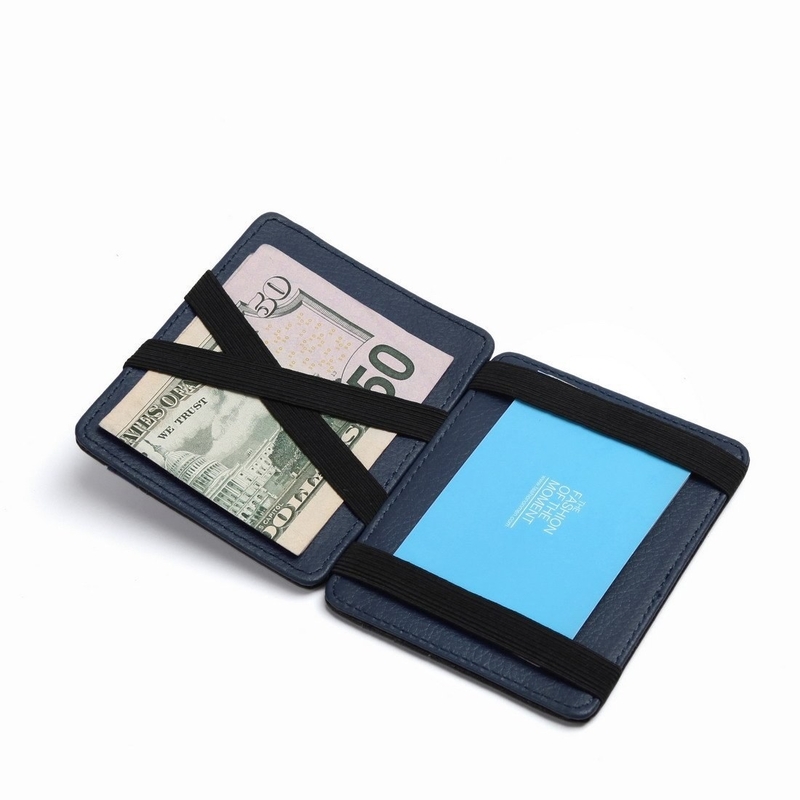 A magic folding wallet with a clever folding strap to keep your money in place. 6. 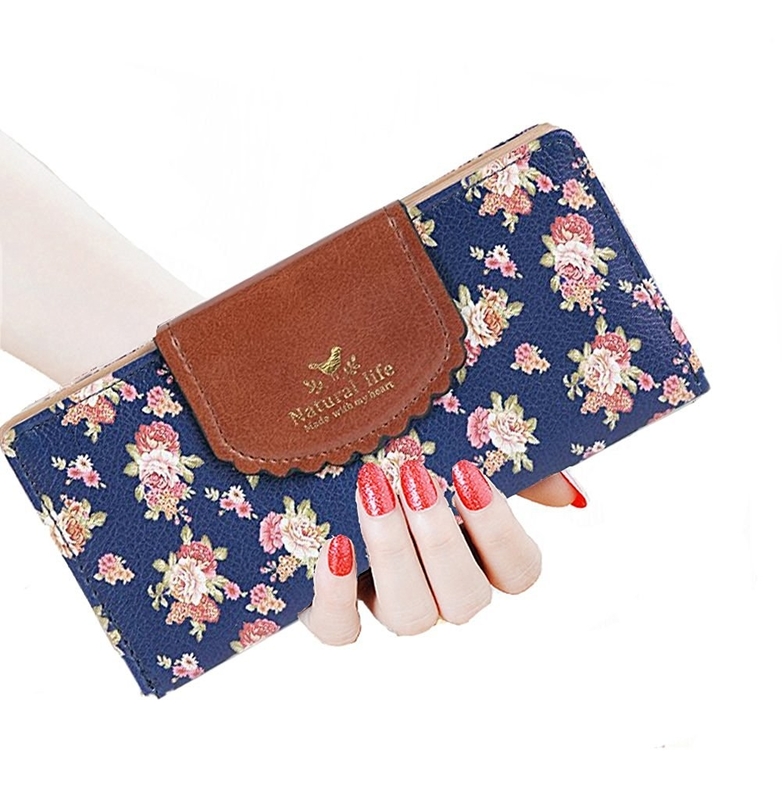 This floral clutch that's able to hold even the largest phones. 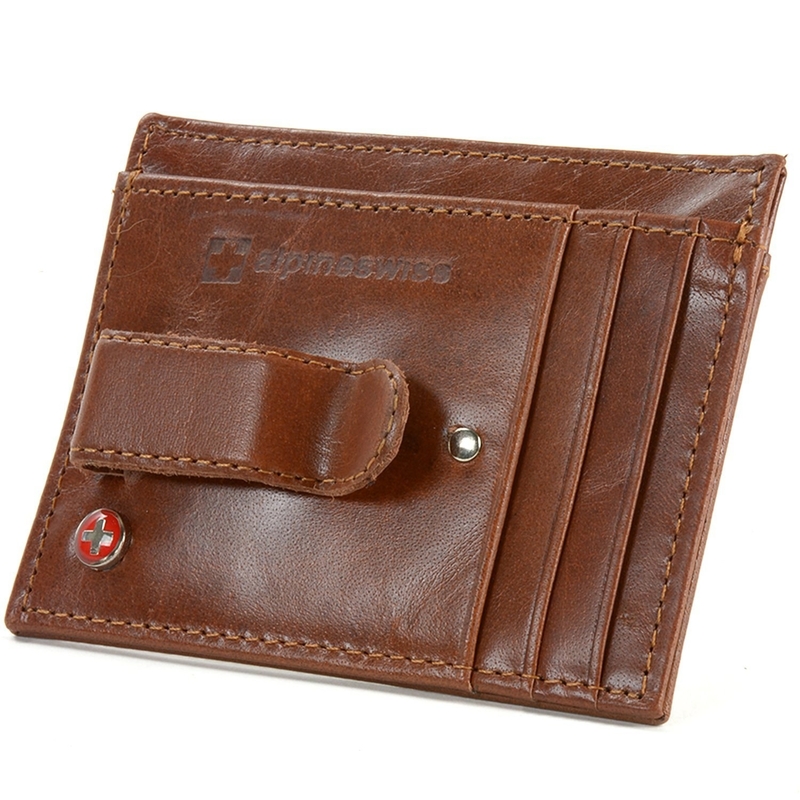 Promising review: "It's a good quality wallet. 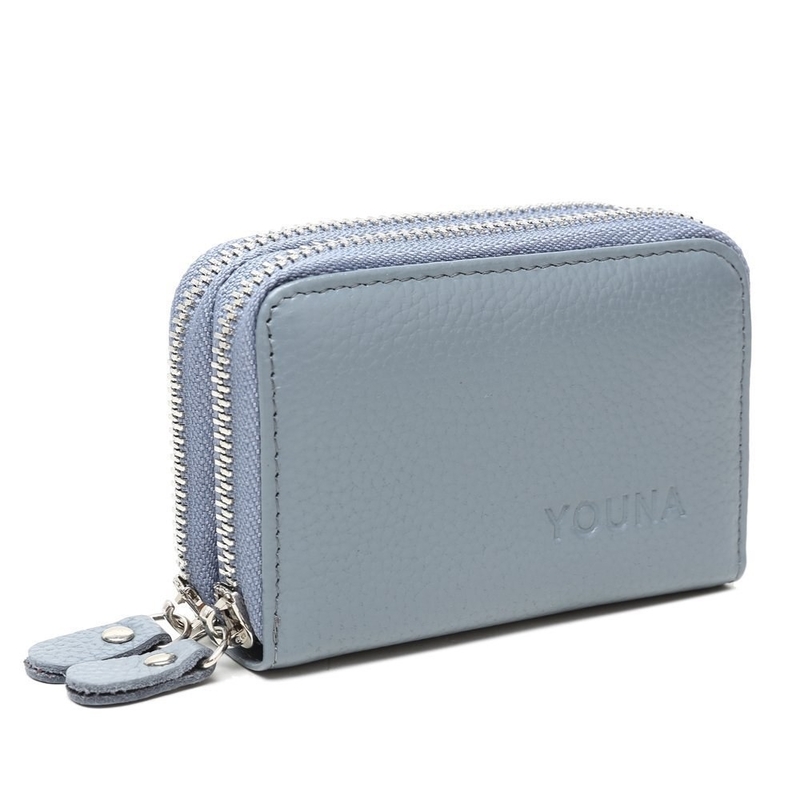 I was worried it wouldn't be, but it's actually on par with the wallets I could buy from the local stores, (but those are ugly and too small). 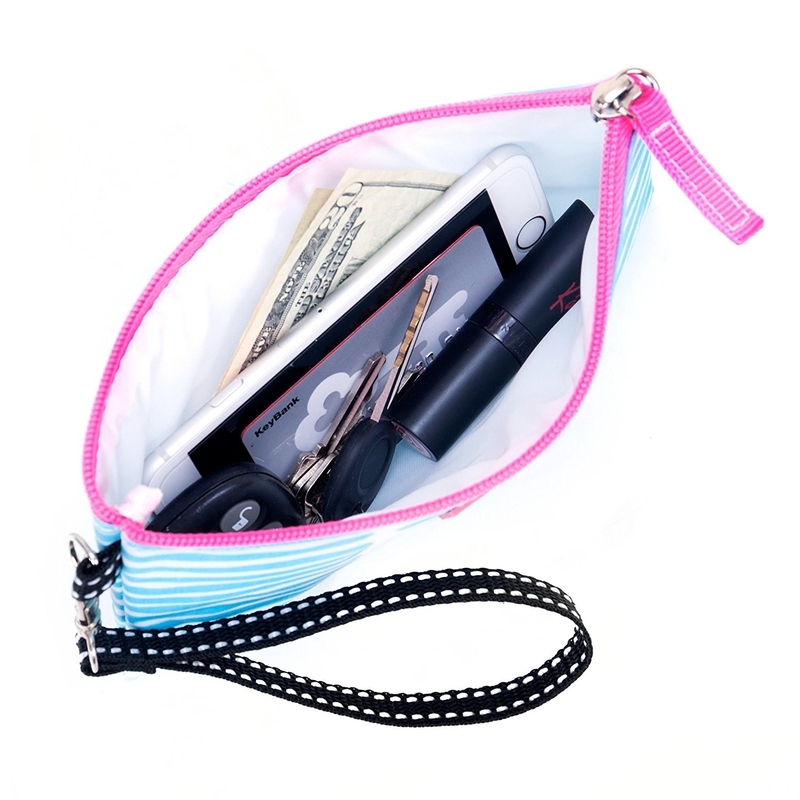 I love the zipper pouch. 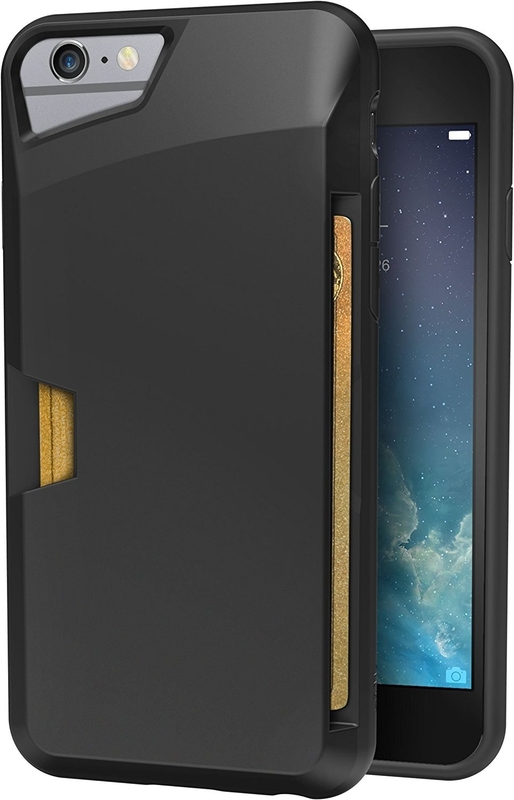 I can fit my Galaxy 7 in, but I prefer to carry tissue and gum. 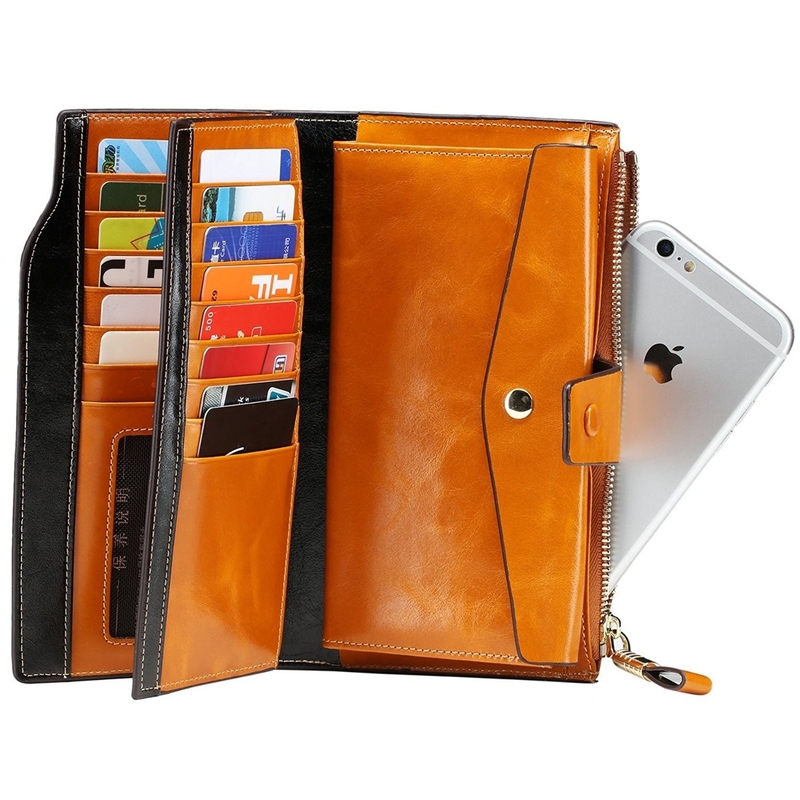 The wallet slots are stiff, but will flex with use over time. The slot for the driver's license is really good. Even though it's new and stiff, the ID slides in and out, no problem for me. 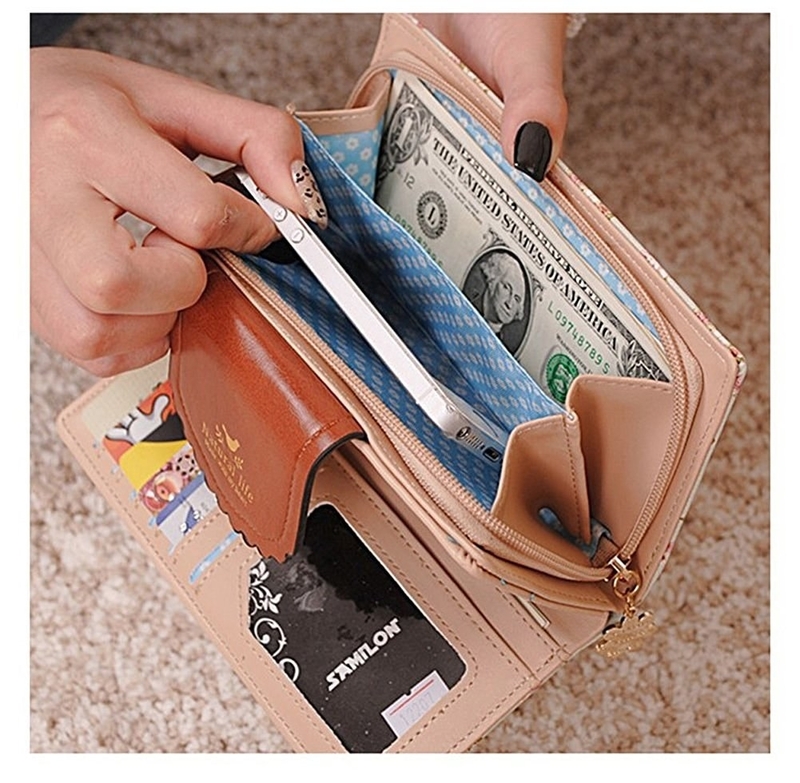 There also lots of flaps under the card slots, which is great for me to store shopping lists and cash if I have it. I love the super cute print. " —Ashley G.
7. 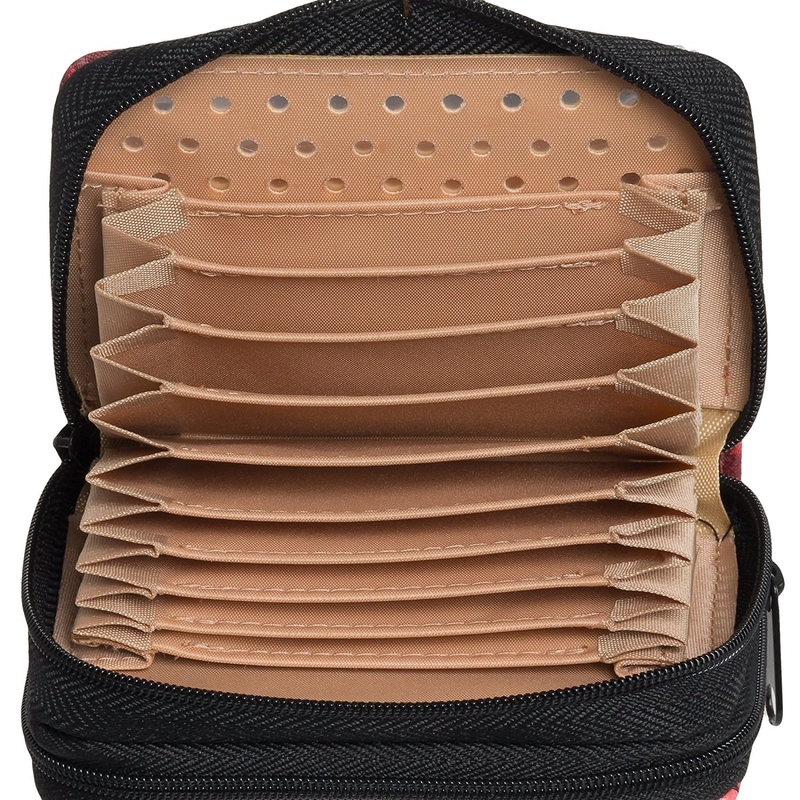 A deceptively small bi-folder able to expand to hold as many as 20 cards. 8. 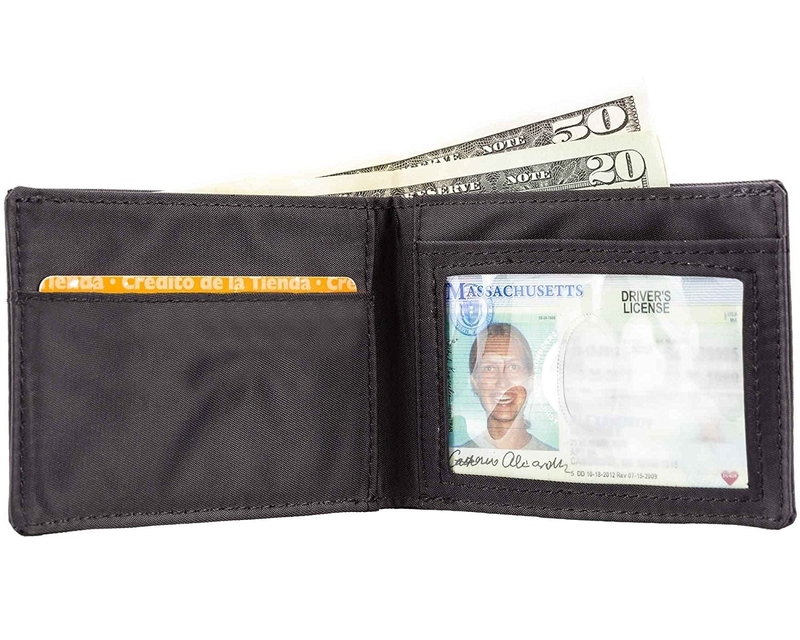 This wider wallet that'll remain flexible -- even with a full load. 9. 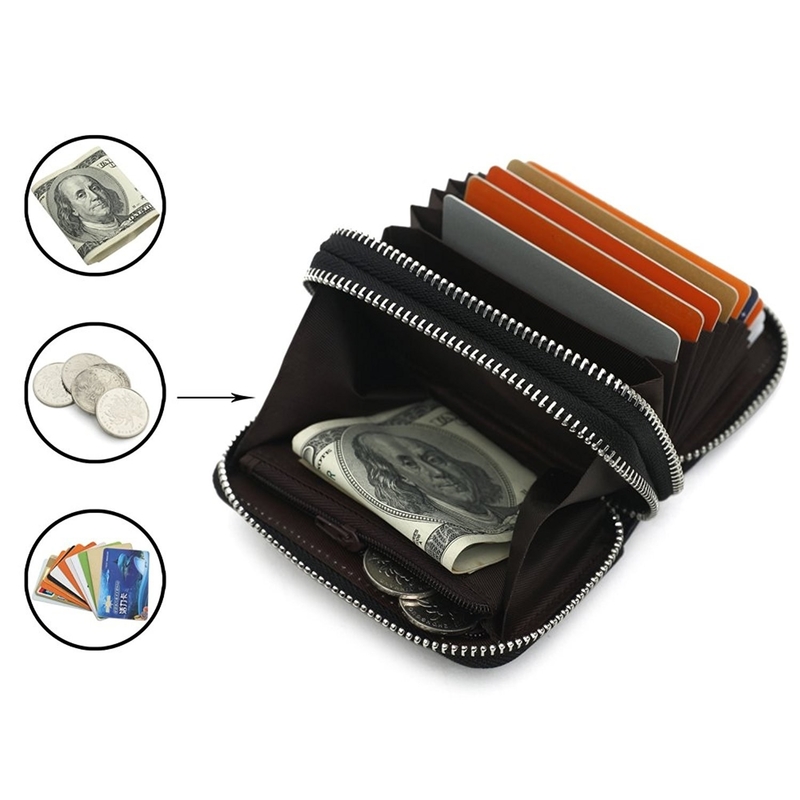 A leather card holder with a small coin pocket to stash change. 10. 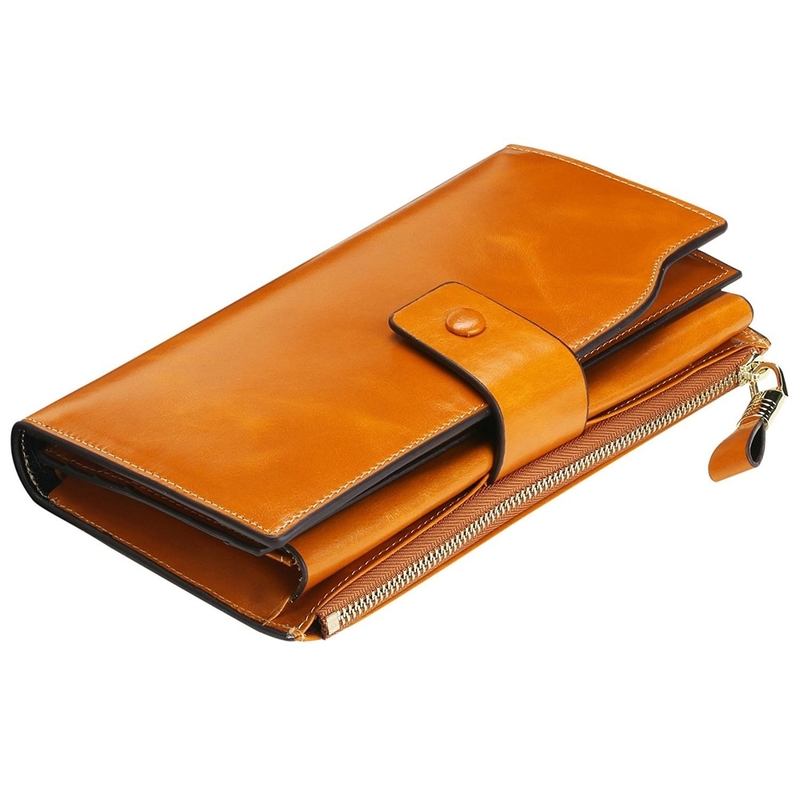 A large-capacity leather clutch that'll never let you be without that one stamp card. 11. 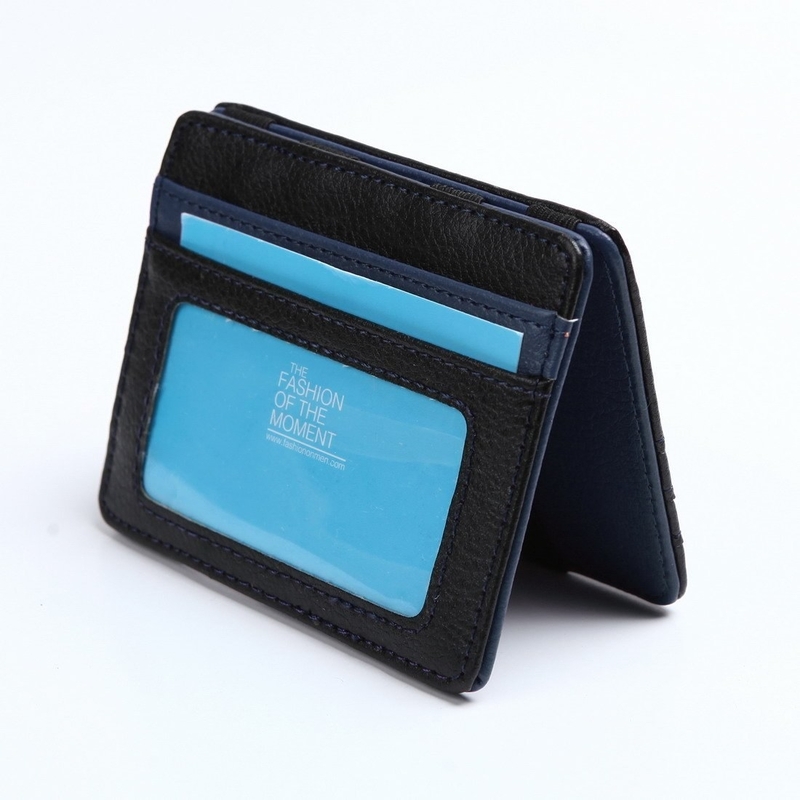 This streamlined note sleeve with a hidden pull tab to hold eight more cards. 12. 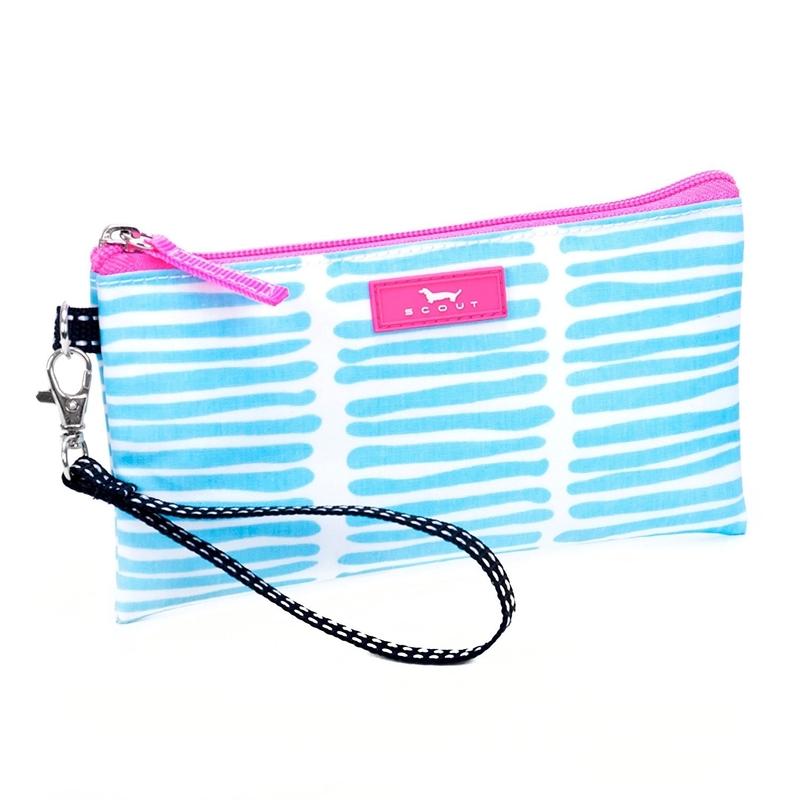 This adorable wristlet that's lightly water-resistant, for those pack-light beach days. 13. 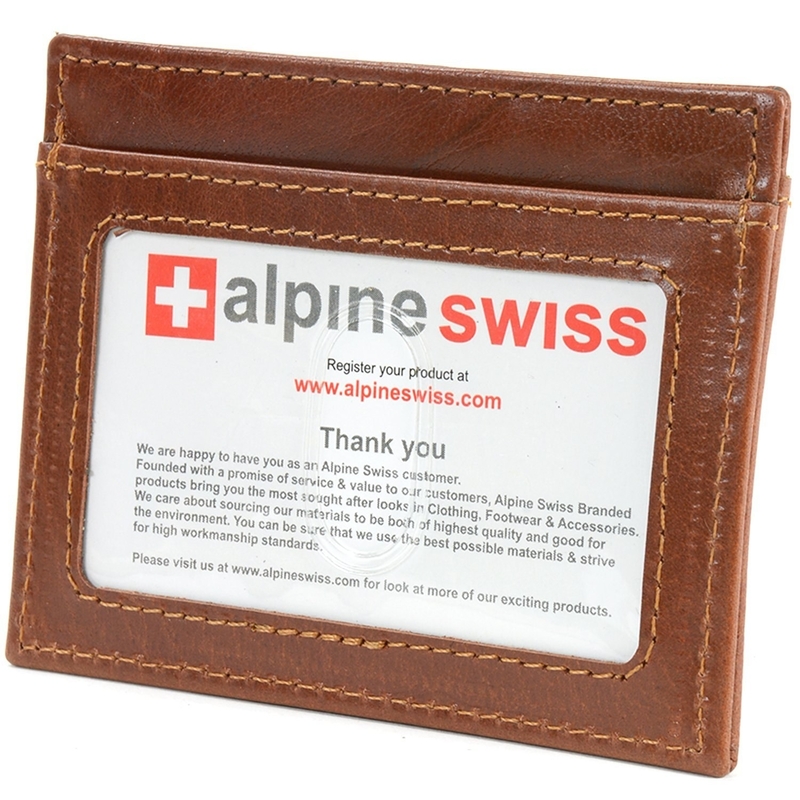 A front-pocket money clip to let you see all your cards and cash with a single glance. 14. This metal card holder for securing yourself from RFID readers. 15. 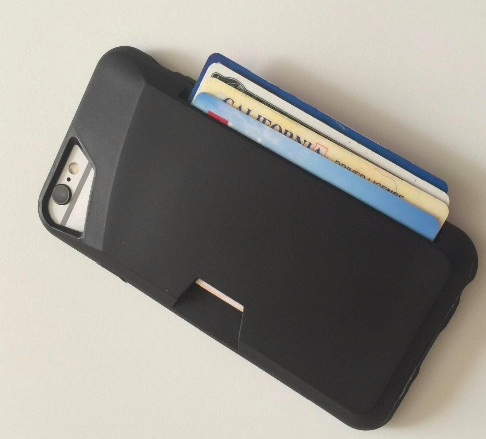 A detachable wallet phone case that *also* acts as a stand when you're waiting for your coffee. 16. 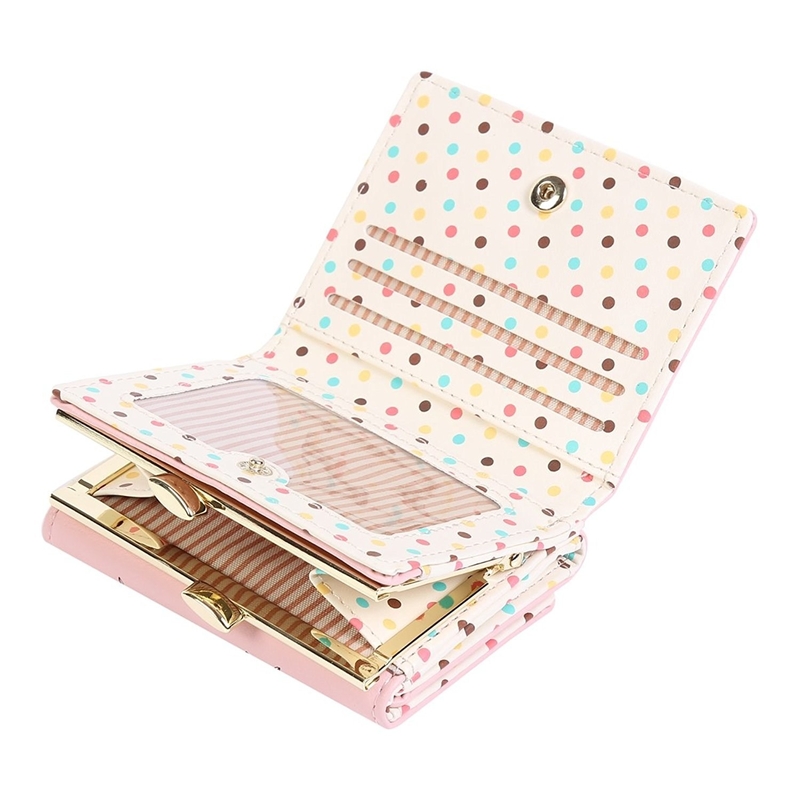 A kiss-lock style card holder—it'll make you look pretty ~coo~ when you pull it out. 17. 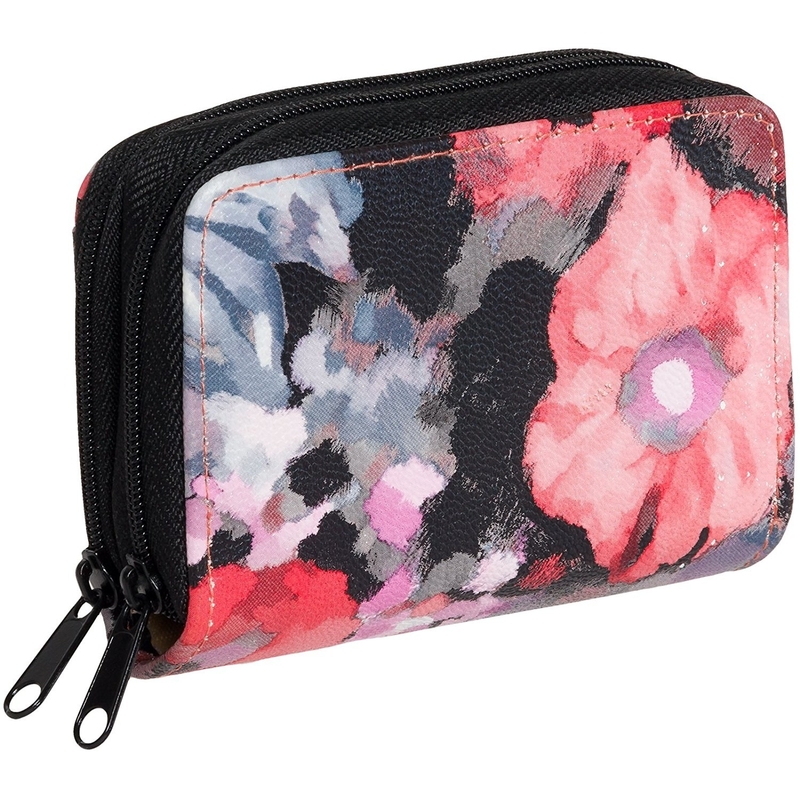 This floral accordion-style wallet that'll let you easily flick through your library of cards.